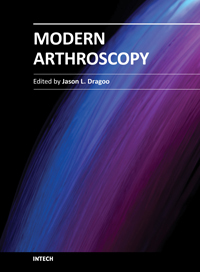 Arthroscopy: The Journal of Arthroscopic and Related Surgery, Vol 31, No 10 (October), 2015: pp 1909-1920. By Khay-Yong Saw, Adam Anz, Caroline Siew-Yoke Jee, Reza Ching-Soong Ng, Norhafizah Mohtarrudin, Kunaseegaran Ragavanaidu. 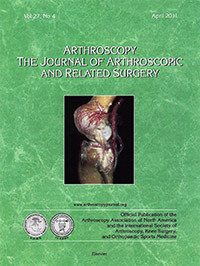 To histologically evaluate the quality of articular cartilage regeneration from the medial compartment after arthroscopic subchondral drilling followed by postoperative intra-articular injections of autologous peripheral blood stem cells (PBSCs) and hyaluronic acid with concomitant medial open-wedge high tibial osteotomy (HTO) in patients with varus deformity of the knee joint. 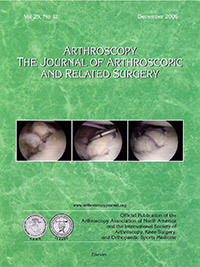 Eight patients with varus deformity of the knee joint underwent arthroscopic subchondral drilling of International Cartilage Repair Society (ICRS) grade 4 bone-on-bone lesions of the medial compartment with concomitant HTO. These patients were part of a larger pilot study in which 18 patients underwent the same procedure. PBSCs were harvested and cryopreserved preoperatively. 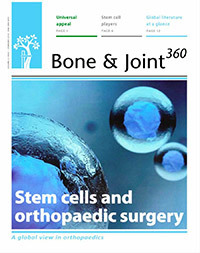 At 1 week after surgery, 8 mL of PBSCs was mixed with 2 mL of hyaluronic acid and injected intra-articularly into the knee joint; this was repeated once a week for 5 consecutive weeks. Three additional intra-articular injections were administered weekly at intervals of 6, 12, and 18 months postoperatively. 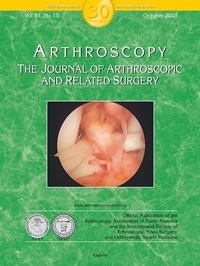 Informed consent was obtained at the time of hardware removal for opportunistic second-look arthroscopy and chondral biopsy. Biopsy specimens were stained with H&E, safranin O, and immunohistochemical staining for type I and II collagen. Specimens were graded using the 14 components of the ICRS Visual Assessment Scale II,and a total score was obstained. 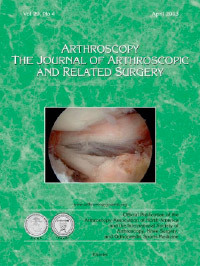 Second-look arthroscopy showed satisfactory healing of the regenerated cartilage. Histologic analysis showed significant amounts of proteoglycan and type II Collagen. The total ICRS Visual Assessment Scale II histologic scores comparing the regenerated articular cartilage (mean, 1,274) with normal articular cartilage (mean, 1,340) indicated that the repair cartilage score approached 95% of the normal articular cartilage score. There were no infections, delayed unions, or nonunions. Chondrogenesis with stem cells in combination with medial open-wedge HTO for varus deformity correction of the knee joint regenerates cartilage that closely resembles the native articular cartilage.